Pottery. Height-14 cm, Circumference-40 cm. 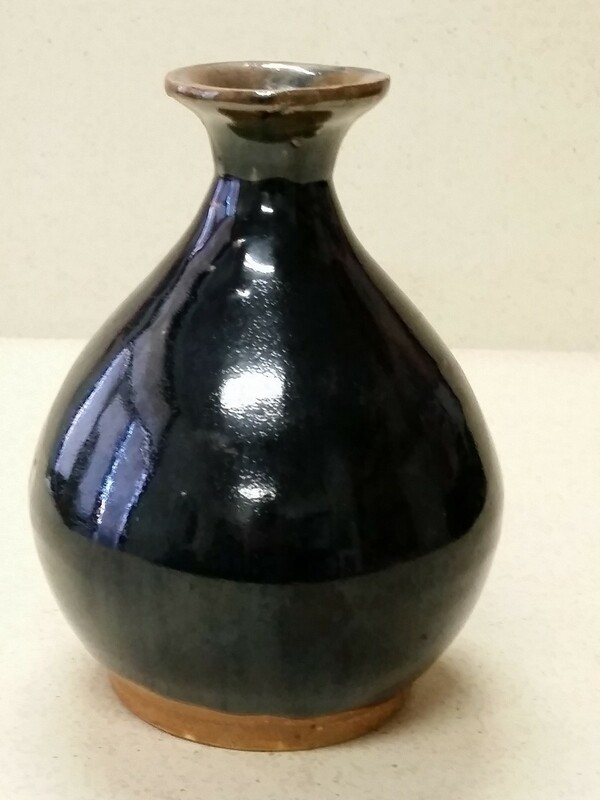 A blue-black, vase-shaped Chinese tiger whiskey bottle. Made from clay pottery with a smooth glaze on all surfaces inside and out. The bottom surface glaze is brown, as is the inside of the neck. The inside also appears to be brown but there is a dirt coating inside the bottle. There appear to be two worn Chinese symbols in the centre of the base, with a possibility of other symbols in an outer ring of the base. Found by donor in 2002 on Mt. Sicker at the Richard III Mine site. The donor described this as a tiger whiskey bottle.